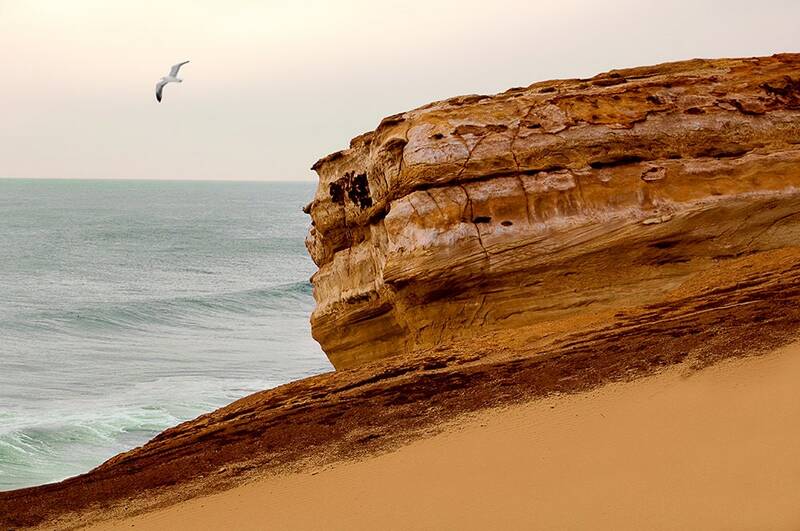 A gull flies above the sandy cliffs. Photograph taken in Pacific City, Oregon, USA. Image is 4262 x 2832 pixels.